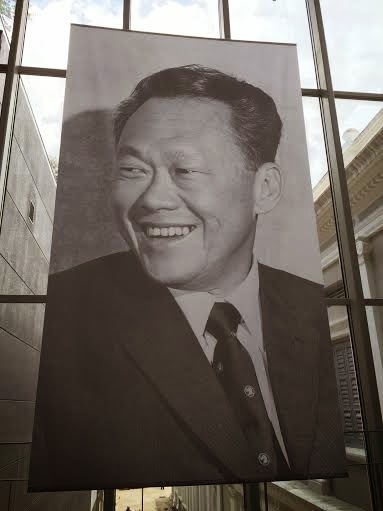 This exhibition chronicles the life and political career of Singapore’s first Prime Minister and founding father Lee Kuan Yew. The exhibition traces his life from before the Japanese occupation, his marriage to Mdm Kwa Geok Choo, through to his political career. When he formed the People's Action Party, to when he was elected Prime Minister, and through his final years serving as Senior Minister and Minister Mentor. 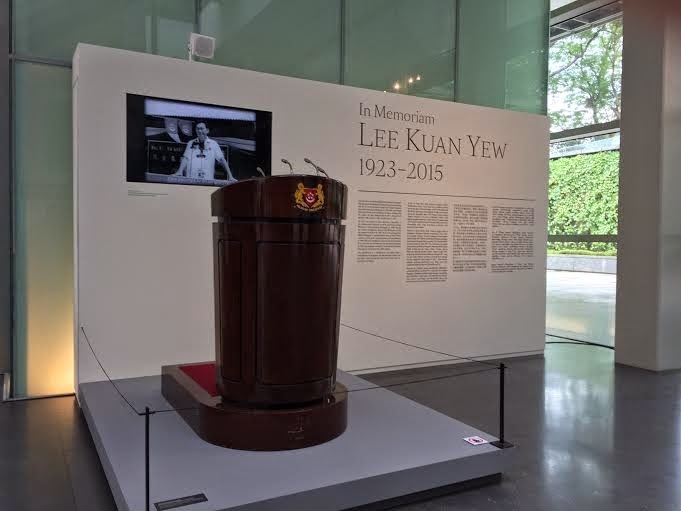 Mr Lee’s political biography is inextricably linked to Singapore’s own journey from British colony to merger with Malaysia to Separation and independence. 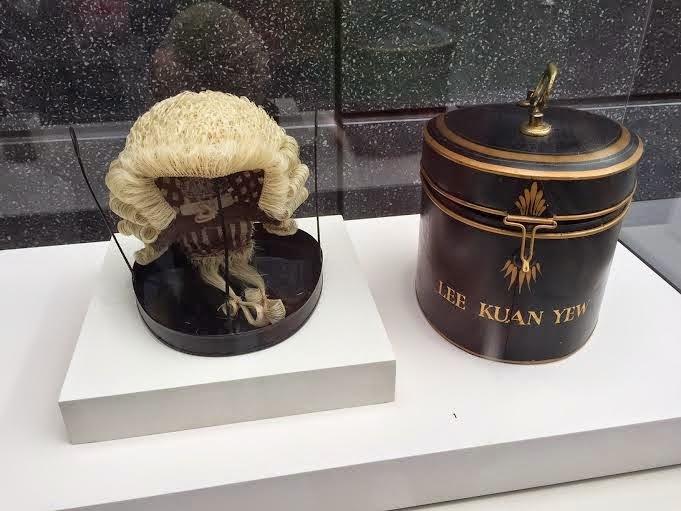 On show are some of Mr Lee's personal belongings such as this Barrister wig and container. The rostrum from which Mr Lee Kuan Yew would give his memorable speeches. 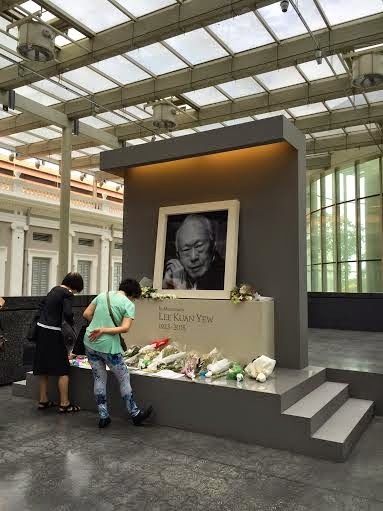 Visitors can view flowers and cards left for Mr Lee. I have seen people picking up various cards to read. I personally think that this is disrespectful. There are condolences books for visitors to leave messages. There are also audio and audiovisual recordings in this exhibition. I would suggest you stand back and listen to the powerful speeches this man gave and reflect not on the good things he has done, but the sacrifices he made to bring Singapore from Third World to First. 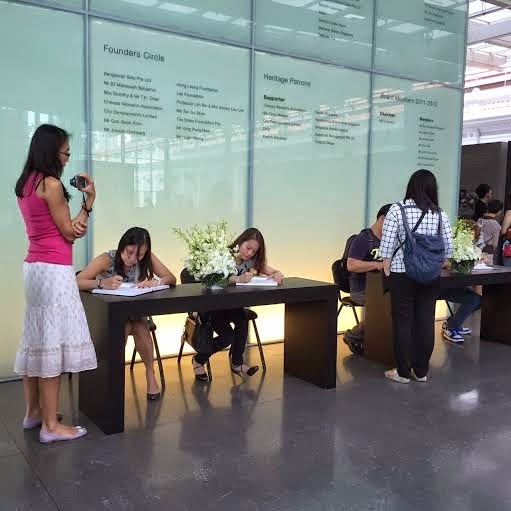 This exhibition is held at the Glass Atrium, Level 2, National Museum of Singapore from now until Sunday 26 April 2015 from 10am to 8pm. Admission to this exhibition is free for all visitors.